Technology is changing the way we work and the jobs we do. Will artificial intelligence and robots relieve us of humdrum tasks, making our working lives easier, or will they take our jobs away altogether? As part of a new series called the Future of Work, we look at the growing popularity of “daigou” – Chinese expats who buy consumer goods for people back home in China. Sandra Lee describes herself as part of a “global phenomenon”. A 37-year-old Chinese expat who lives in Central Coast, Australia, she makes money by selling Australian goods to people back in China. 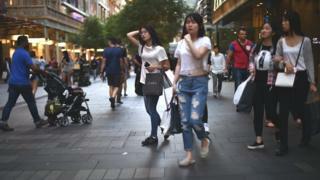 Connecting with buyers via Chinese social messaging app WeChat, Ms Lee purchases items from Australian supermarkets and other retailers on their behalf, and then posts them to China. An overseas personal shopper, she is known in China as a daigou, and Ms Lee is far from alone. More than a million people globally are now working as daigou, according to some estimates. Commentators say this booming trade was born as a result of mistrust in the authenticity of products sold in China. 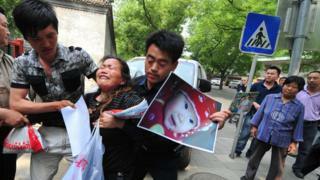 In particular, they point to the spate of scandals involving tainted or fake baby formula milk over the last decade. 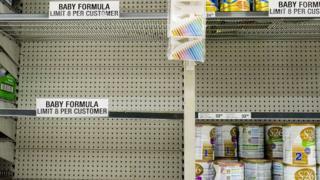 In one of the worst cases, at least six babies died back in 2008, and tens of thousands became sick, after their formula milk was found to contain melamine, a toxic compound. As a result, many people from Chinese cities greatly prefer to buy foreign brands, which have preferably been bought overseas. At a basic level, a daigou makes his or her money by charging a small fee to the people buying the products. But there are now those who have grown their businesses into mini empires. Ms Lee, who juggles her daigou work with being a housewife, says: “I have lots of friends selling American products such as luxury bags. She explains that the phenomenon only really took off seven years ago, and is especially appealing to Chinese expats who are struggling to learn the language of their new home. Today individual daigou in Australia can make upwards of $100,000 (£72,000) a year selling Australian products to customers in China. Some daigou even use their garages as their stock warehouses, and hire several people to do their customer service. AuMake, a husband-and-wife run daigou business in Sydney, has gone even further, much further. It now has a chain of physical retail stores across the city that caters to daigou shoppers. 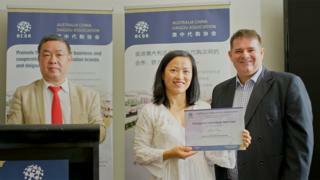 And last year it floated on the Australian stock exchange, becoming the first daigou business to list in Australia. AuMake also now has a “daigou hub”, a space where local companies can connect directly to individual daigous and visiting Chinese tourists. It has plans to establish hubs in other capital cities as it expands. Benjamin Cavender, a Shanghai-based analyst from China Market Research, says that the daigou phenomenon has been fuelled by the development of mobile phone and payment technology. “With the ubiquity of smartphones and live streaming apps it will be easy for consumers to continue to involve themselves in the idea of ‘re-commerce’,” he says. Although these new jobs only exist because of technology developed in mobile messaging and payments applications, the skills involved are entirely human rather than automated – at least for now. Shane Oliver, chief economist at Sydney-based investment house AMP Capital, says: “The new jobs are mainly in sourcing and authenticating the product, something that is hard for machines to do with absolute credibility. 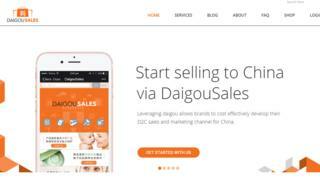 Some of the additional tasks carried out by daigous include answering customers’ queries, live-streaming on WeChat and other social media platforms, and video posting their product evaluations. Matt McDougall, founder of marketplace Daigousales.com, is also the president of the Australia China Daigou Association, a trade body for the sector. “We get a lot of brands coming to us asking if we can get daigous to tell them about pricing, look at their products and see if they like them,” he says. As the industry grows in Australia, new ideas are emerging to professionalise it. The Australia China Daigou Association is currently drawing up a code of conduct to implement a common standard of behaviour for daigous. These include not filling supermarket trolleys full of infant formula, and not leaving marks on unpurchased products in shops. “We are looking to improve the status of this community, and bridge relationships between Australian brands and daigou buying agents,” says Mr McDougall. The Australian government has also recently thrown its support behind the movement, recognising the job-creating potential this grey industry brings. It sent federal and state ministers to cheer the launch of the newly-formed association. However the way ahead for this new economy may not be all smooth-sailing. Professor Hans Hendrischke from the University of Sydney’s Business School, cautions that China may start regulating the daigou sector, which might mean that big players will evolve and push out the smaller ones. Sandra Lee though is far more optimistic about the prospects for her job. “The association gives you a certificate with your name on it,” she says. “It makes you feel like you’re not doing something under the table anymore.